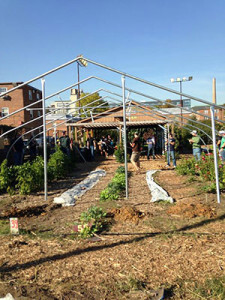 Editor’s Note – Check out this city farm that provides over 5,000 pounds of produce to its community each year! This article was originally posted on Seedstock and written by Abbie Stutzer. 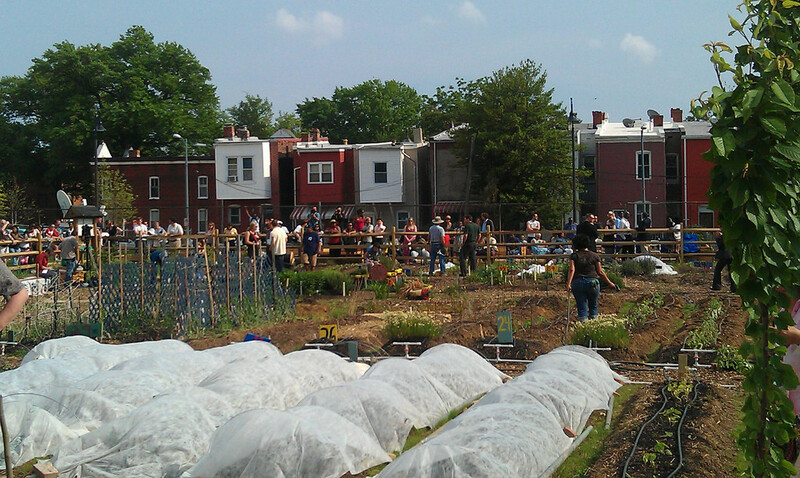 From 1998 to 2006, Common Good City Farm was known as Shaw EcoVillage, a nonprofit that trained youth to become leaders of sustainable change in Washington D.C.’s urban neighborhoods. Through SEV’s EcoDesign Corps program, more than 500 youth got the opportunity to work on community-based projects focused on creating sustainable economic, environmental, and social change in D.C.
Luckily, SEV has had a successful rebirth, thanks to nonprofit Bread for the City. “With hopes to continue engaging youth and adults in sustainability education and food production, before closing, SEV and partner Bread for the City gave [us] permission to continue directing garden programs,” Callahan says. Co-directors Liz Falk and Susan Ellsworth organized a garden on 7th Street, aptly named the 7th Street Garden, which operated under that name from 2007 through 2009. During that period, both Falk and Ellsworth worked on the project as volunteers. “Liz and Susan, along with other weekly volunteers, administered programs that engaged neighborhood kids and adults who took home weekly shares of the garden’s produce, including everything from lettuce to peaches,” Callahan says. The 7th Street Garden’s organizers developed a close relationship with the LeDroit Park Civic Association and the residents of the area. That partnership led to an invitation to move to its new, larger home in LeDroit Park on the grounds of the old Gage-Eckington Elementary School, a D.C. Public School that closed in June 2008. “In October 2008 we moved to the abandoned baseball field on the school’s grounds and changed our name to Common Good City Farm,” Callahan says. Common Good City Farm currently grows more than 60 varieties of vegetables, 30 culinary and medicinal herbs, and 10 fruits. Now, the organization is growing over 5,000 pounds of food each year to share with its community. Common Good has used sustainable practices from its start, says Callahan. Although Common Good isn’t self-sustaining (its major source of revenue is foundation and government grant funding), it is able to make some money. “Our earned income streams include a CSA program, farm stand, small enterprise program where we sell to local food businesses. We also collect fees from school field trips, workshops, and volunteer groups,” Callahan says. While Common Good has had a lot of success, it also faces major challenges. Common Good still has to overcome its financial issues and could benefit from more community engagement, according to Callahan. The farm also faces operational challenges. And while Common Good has gone through a lot of changes throughout its existence, it’s still committed to the future and wants to become more successful–and expand its reach–through time.